All stores, brands, shopping, restaurants, entertainment, cafes, movies, deals, offers, sales at Kemp Fort Mall,Old Airport Road, Bangalore. 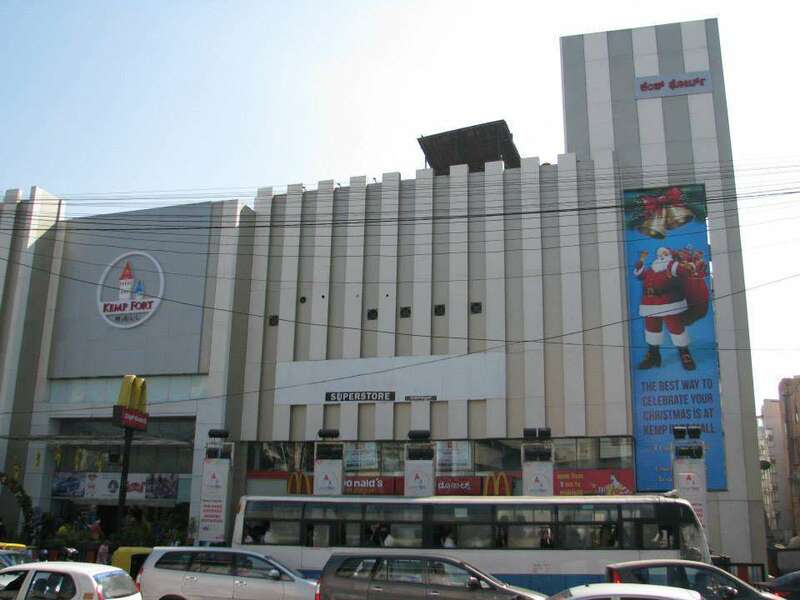 Kemp Fort Mall – The Most Exciting Shopping Destination is the result of more than 100 years of joint experience of Mr. Vashi Melwani and Mr. Ravi Melwani – the entrepreneurial father–son duo and eminent businessmen – who launched Kids Kemp, the exceptional retailing brand that shook India before modern retailing came to town. By opening a chain of 40 toy stores all over India, called Toys Kemp, and moving one milestone to other in a short time, starting with Kids Kemp, Big Kids Kemp and finally, the fantasy land of Kemp Fort, they have continually proved that their quest is to achieve excellence through innovation! The Melwani duo built a mall in the form of a castle named Kemp Fort, spreading over 3,00,000 sq. ft., near the Bangalore Airport Road. It used to be a site straight from the medieval times, with huge turrets standing tall in the winds. With years of innovative growth, meeting with stupendous success, the Kemp chain of stores created history in the world of retailing. Initially, the mall was taken on lease by the Jubilant Retail Group and converted into TOTAL Mall, but as destiny would want it, Mr. Ravi Melwani is back with his vision of rebranding and relaunching the shopping paradise as Kemp Fort Mall. He aims to combine innovation, entertainment, and fun under one roof, thus providing a brand new, unique shopping experience to the visitors and turning Kemp Fort Mall into "The Most Exciting Shopping Destination" of Bangalore. Shopping at Kemp Fort Mall will never be an errand, but an entertaining and a fun experience that will go beyond the expectations of the visitors. Going with the spree of the Kemp chain of stores, Kemp Fort Mall aims to cater to the shopping needs of the visitors from the city and across the country by taking retail therapy to a whole new level.